The Barska Biometric Safe is our top recommended product if you are looking for a compact safe to hold one or two pistols in addition to important documents and jewelry. It has been purchased thousands of times and has gained raving reviews from over 1,000 consumers on Amazon.com. 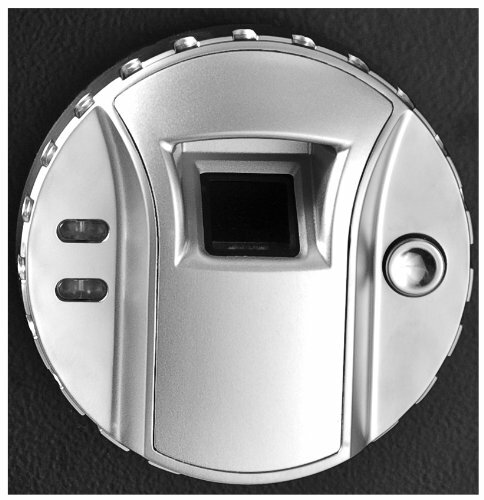 This biometric safe is available in a compact finish that makes it easy to conceal anywhere in your home. It is manufactured from solid steel material and enhanced by two unbreakable steel locking bolts to deter professional picking. 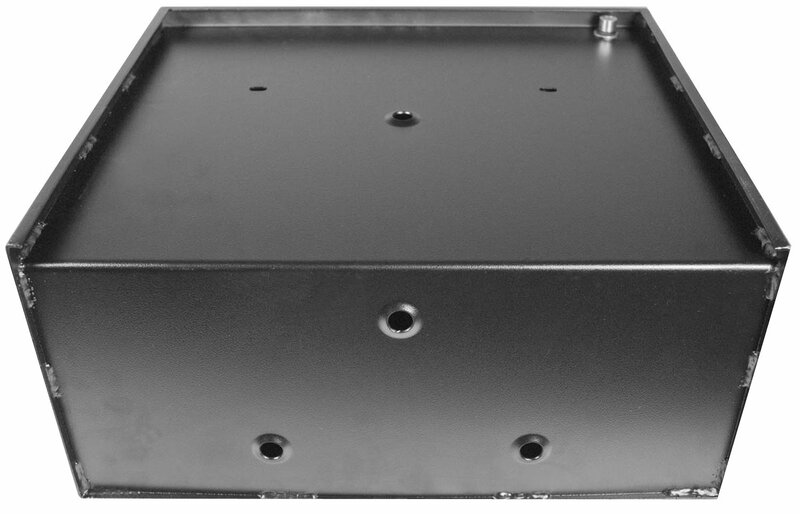 The interior part of this safe measure 16.25 x 7 x 14.25 inches while the external part measures 16.5 x 7.75 x 14.5 inches. It weighs 31 pounds and ships with the necessary hardware for mounting anywhere in your home. This gun safe is powered by an advanced biometric lock system that simply keeps out children and thieves who may try to break into it. It sports a fingerprint pad which is easy to program and opens with the touch of a finger. The built-in memory gives the owner the ability to register fingerprints of up to 30 different people. If you keep items that need to be accessed by multiple people, few gun safe models can rival the Barska Biometric Safe. One of the reasons for the huge popularity of this particular unit is the 5-star fingerprint recognition system that powers it. Firstly, it only verifies your fingerprint and those of individuals whose fingerprints have been registered by you into the memory. This eliminates the risk of thieves and intruders breaking into it to steal vital stuff or cause accidents. Secondly, it eliminates the need to remember complicated number combinations every time you need to access your safe and its contents, unlike number combination gun safes. Also, It is recognizes pre-registered fingerprints with ease and prevents the frustration of having to place your fingers on the scanner multiple times before granting access. All you have to do to gain access to your passport, firearms, jewelry, and other valuables is to touch the fingerprint pad and it will open in a fraction of a second. In the event of an emergency, this safe can also be traditionally accessed with a key. In fact, the package ships with two backup keys for emergency situations. The emergency lock works efficiently as long as you are the owner or been granted access to the backup keys. 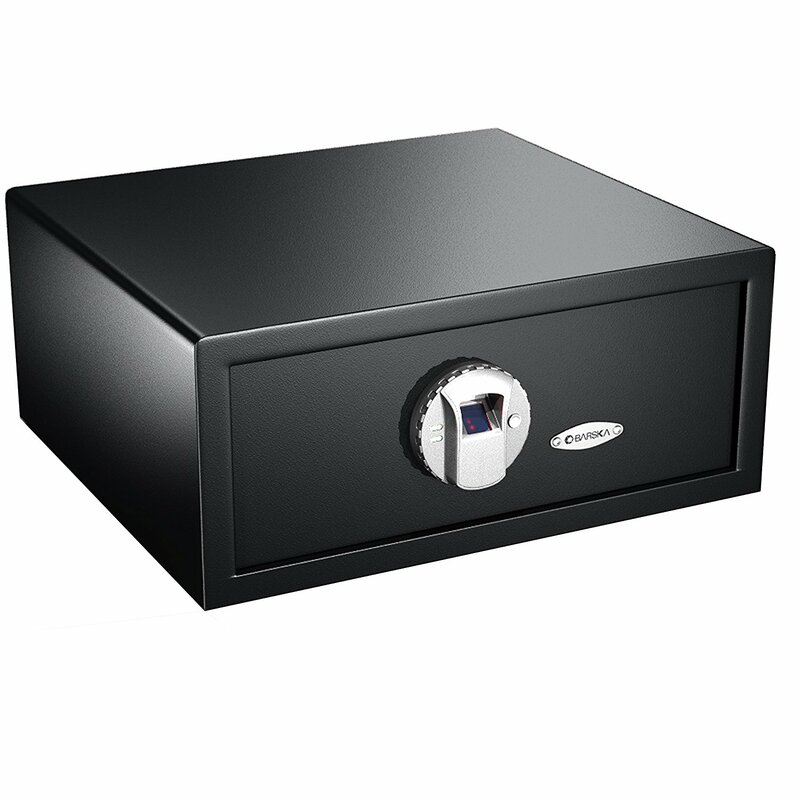 Sure, this may one of the best compact safes on the market and comes with the advantage of being extremely well-built. However, the level of flexibility available to gun owners with respect to mounting is another reason for its huge draw. From walk-in closets to tables and other pieces of bedroom furniture, there’s a wide range of possibilities. It can be easily bolted on a wall or ceiling. The fact that it is available at a steal only makes this model more desirable among consumers. The Barska Biometric Safe comes with a 1-year Limited Warranty upon purchase. This comes in handy if you encounter problems covered by the warranty within the stipulated time frame. The Barska Biometric Safe is built for consumers who own just one or two handguns and want to be able to keep it safe and secured. This safe has become popular among parents and those who live with minors at home as it keeps your guns firmly out of their inquisitive eyes to prevent any accidents down the line. 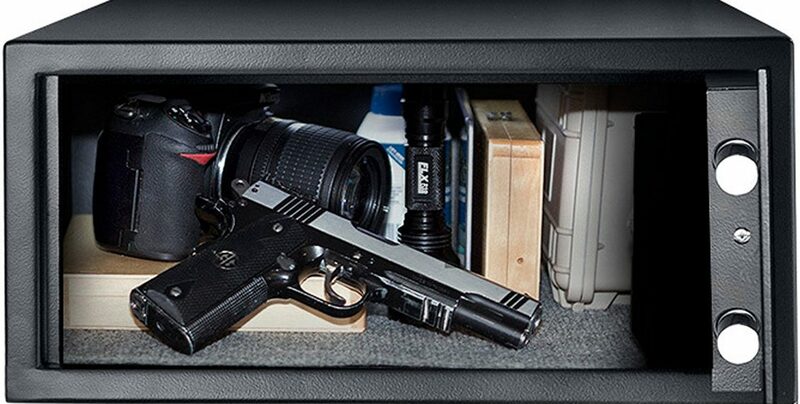 It also gives you enough room to store some cash as well as other valuables such as ammunition and legal documents. Find more BARSKA Biometric Safe information and reviews here.